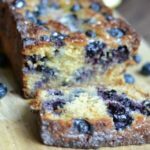 This Blueberry Lemon Bread is not only super moist and scrumptious, it’s healthy! It’s a perfect way to satisfy your sweet tooth. I don’t usually have a sweet tooth but yesterday I had a big ole craving for something sweet. And it would not leave! So at 7:30 last night I decided to bake this blueberry lemon bread. 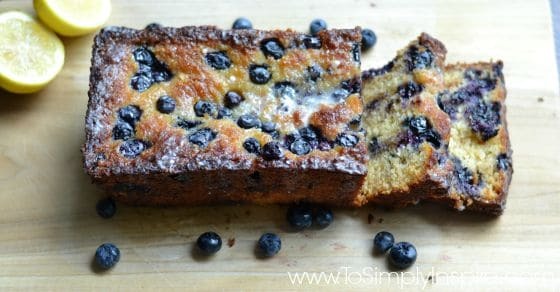 It’s been on my list of recipes to try and with fresh blueberries in the refrigerator (for once), I jumped on it. It is incredibly scrumptious! Plus, I forgot to mention, it’s healthy too! Doubly happy 🙂 It’s actually even Paleo too. I love how unbelievably moist things I bake with almond meal flour come out. Try these other healthy desserts too! Grease a loaf pan and place a piece of parchment paper on the bottom of pan. Combine almond flour, coconut flour, baking soda, and salt in a large bowl. Whisk together eggs, coconut oil, honey/maple syrup, and lemon juice until combined. Add wet ingredients to the dry and mix just until blended well. Spread one third of the batter into the bottom of pan. Sprinkle 1/3 of the blueberries on top. 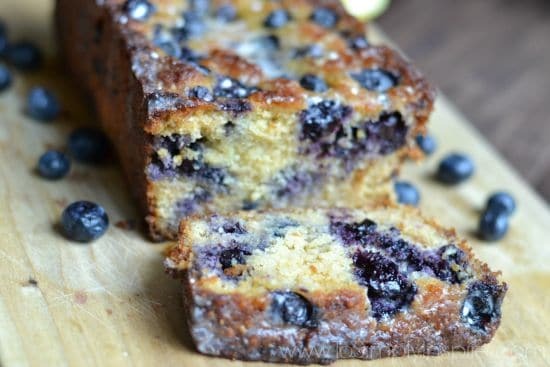 Repeat with another third of the batter and third of the blueberries. Repeat one more time with the remaining batter and berries. Bake 32-37 minutes, until toothpick inserted into center comes out clean. Cover with foil if the top begins to brown too much. Second time ever making this tonight. I really enjoyed it the first time. But this time I added more juice & zested the lemon. However, I cant seem to stop it from collapsing!! Its driving me nuts! Any tips on how to prevent this?! This was AMAZING!! I have IBS and struggle to find yummy desserts and treats I can eat and this was perfect. My entire family ate it all too and can’t stop talking about it. Highly recommend. The only thing I changed was a little more lemon! I am SO happy you loved it!! Just made this yummy recipe into muffins and baked them for 20 mins. They turned out beautifully. I doubled the blueberries which resulted in a blue muffin, but it tasted wonderful. Very moist. Oh and I added a little lemon zest. I’m so happy to hear you enjoyed them. 🙂 I should try the muffins too! I ABSOLUTELY love this bread!!!! I made it for the first time last year and simply fell in love!!!! I am about to make another batch right now. I even tried it with fresh cranberries, delicious! Thank you sooooo much…I can’t wait to try your other recipes! Have you or anyone here tried making this with stevia or xylitol? If so, how did it turn out? Do I need to add more water to make up for the liquid I would get from the syrup? This bread looked so tasty that I went out and got the ingredients and made it the same day. My kids, both of whom are very picky, absolutely loved it! Hi! 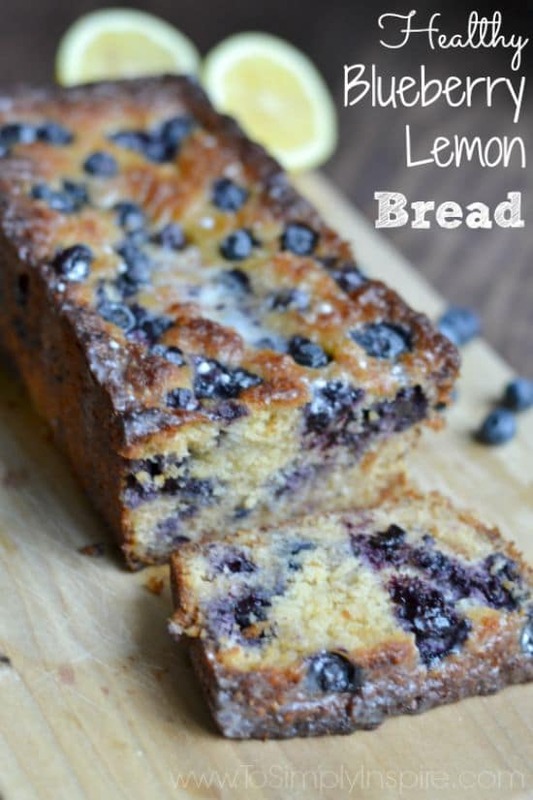 My family loves this recipe, I have made it several times. Only thing is I have to bake it for at least 45 minutes or an hour. Ovens are different, I guess that’s why. 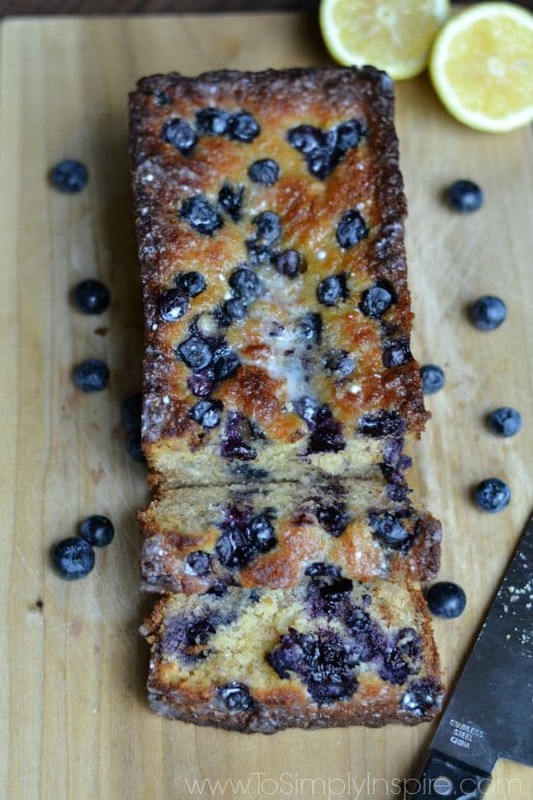 But it’s super easy to make and is our favourite way to use fresh blueberries. The measurements are listed differently in the above recipe. Up top in the article the almond flour is listed as 1 1/2 cups. Lower on the page where the recipe is listed again, the almond flour is listed as 1/2 cup. FYI. I used the 1.5 cups and the bread was perfect and delicious! I can’t speak for the original recipe, because I whipped the egg whites first and added the zest of the lemon as well. What came out of the oven is absolute heaven! I’m sure the original recipe is just as delicious, I just wanted to ensure a light fluffy loaf with a great lemon flavor. Just made this tonight and it is delicious!! Thanks for posting this recipe. It’s a keeper! !